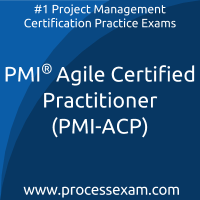 It has been just two days since i got the result of clearing the PMI Agile Practitioner certification exam. And i have received so many congratulatory messages and good offers that i always wished for. All this would not have been possible if there were no mock tests. 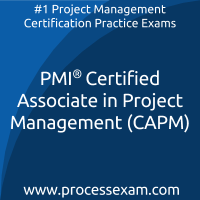 These premium practice PMI-ACP questions online are the key to success in the industry it seems. They have opened up my world and made me what i am today. 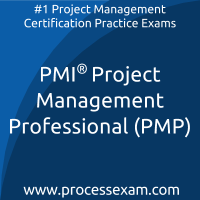 PMI-PBA practice tests are well within the budget. They are quite helpful and practical means to clear the exam. The more i practiced the more confident i became. 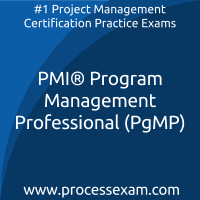 When i checked the PMI PfMP question bank online, it had more than 270 premium questions for practice. These questions are wisely chosen and are very close to the actual ones that i was going to face in the exam. Hence, i decided to continue with the practice. The multiple choice questions helped develop my sense and knack of answering questions and i got the practice i required in the limited time. Gradually, i became adept and was able to clear the exam with the desired target. 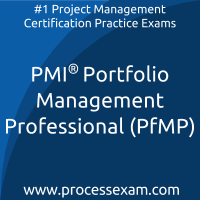 After giving every PfMP mock test on the site processexam.com, i got the feeling that i gave the actual PMI Portfolio Management certification exam. What a well-prepared and helpful site to get the confidence to give the exam. I am a very satisfied premium member of the site. I will definitely recommend the premium membership of processexam.com. 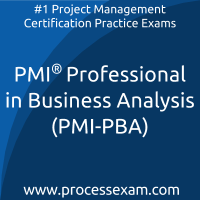 It has very good PMI-PBA mock tests to practice for PMI Business Analysis certification exam.